The guys at Lumawake seem to have thought of everything from the moment that you wake up to the moment you fall asleep. They take the dock and completely redesigns it for much bigger purposes than just to act as a seat for your iPhone. With the proper set up, you can have this little guy power your entire house. 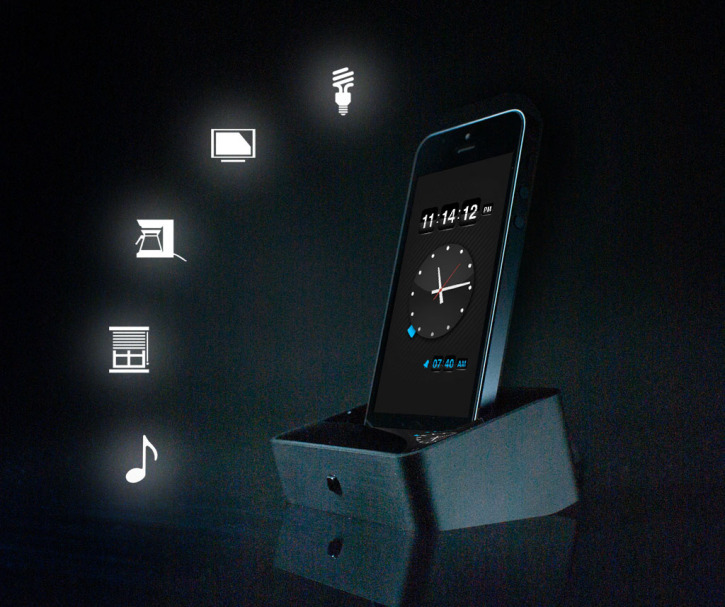 It's the smartest dock we've ever seen. Constructed out of a similar material as your iPhone, the Lumawake dock blends right in with all of your other Apple devices and has some exciting hardware features. Packed with multi-color LEDs, the dock will automatically light up whenever you want to dock or undock your iPhone due to the infrared motion sensors built in. On top of that, it can keep track of your sleeping patterns without the use of annoying bracelets or other external devices, just download their app. This product is much more impressive when you see it, so make sure to check out their product video after the break. Lumawake is also integrated with automated home systems to help you start your day and end your day the right way. It can automatically turn your lights off when it senses you've fallen asleep and start that much-needed brew of coffee before you even get out of bed. They are available in both black and white aluminum and is compatible with both the 30 pin and the lightning pin connection devices so you'll be able to dock both your iPhone 4 and 5. They are currently looking for supporters to fund their project and have already almost hit their half-way point at the time of this post. At $149, you can reserve your own Lumawake dock on their website.